Prisons – by definition – are secure institutions. Shifting philosophies of punishment underpin approaches to security and safety. The mobility, behaviour and activities of those imprisoned are controlled by carceral architecture and structured schedules with policy, practice and personnel reinforcing the custodial demands of imprisonment. Such procedures are designed to prevent escapes and maintain ‘control’ and ‘order’ through security and discipline. My experience in women’s prisons has led me to question this dynamic for imprisoned women: does security create safety? Are women safe while imprisoned? Does security itself create gendered harms of imprisonment? In the last decade, my work has focused on these questions through two long-term projects. First, I was more than fortunate to be invited to work with the Thailand Institute of Justice (TIJ), a partner of PRI, in addressing the global issues of women in prison. Thailand, through the support of Her Royal Highness Princess Bajrakitiyabha, has led this charge by supporting the development of and implementing the Bangkok Rules, soft laws that offer guidance on human rights protections for women in prison (see PRI’s extensive resources on the Bangkok Rules). Second, I have explored the dimensions of gendered safety in American women’s prisons and jails with James Wells and Joycelyn Pollock through extensive interview, focus group and survey research. These experiences have steered me to question the wide gulf between security and safety – particularly as experienced by women prisoners. As Dana Britton argues, prisons are deeply gendered organisations. In our book, In Search of Safety: Confronting inequality in women’s imprisonment, we build on this insight to examine the harms embedded in the contemporary prison and how these harms impact women differently than men. In documenting women’s experience with imprisonment, we frame these threats to women’s safety as ‘gendered harm’ in two ways. First, and most common, is the idea that harm is damage or injury to a person through overt actions or practice. Clearly, forms of physical and sexual violence against women in custody fit this view. Operational practice grounded in the need for physical security has also been shown to harm imprisoned women. The daily round in prison is often detrimental to women’s well-being, particularly for women with trauma symptoms or other mental health conditions. Second, we also see gendered harm in terms of the inability or unwillingness to meet women’s pathway needs. Such needs are often unmet inside prison, when they fail to acknowledge the gender-based realities that shape women’s pathways to prison. Such neglect is common in women’s prisons throughout the world. There are overlapping themes relevant to women offenders: providing for their safety, rehabilitation and social reintegration while in custody, requiring that programmes and services address their gender-based needs in terms of health care (including pregnancy), mental health and other therapeutic needs; and recognising their histories as survivors of interpersonal violence, and their caring responsibilities for children. Women’s prisons may be secure but, we ask, are they safe? We claim these harms are unnecessary and constitute gendered human rights violations. The challenges to safety and well-being of women prisoners are not only problems in America’s prisons. Globally, women in prison face many forms of discrimination and other consequences of gender inequality, reproducing the harms identical to those we find in U.S. prisons. There are two practical solutions to this unnecessary suffering: expanding the concept of security to include multiple forms of gendered safety, and implementing the human rights protections outlined in the Bangkok Rules. We draw on work by Sandra Bloom and her Sanctuary Model, arguing that the definition of safety should be expanded to include physical, psychological, moral, and sexual safety. She defines physical safety as the absence of any kind of violence (e.g. physical, emotional, sexual, or verbal), including suicidality and self-destructive behaviour; freedom from substance abuse and other addictions; healthy and safe sexual behaviour; the avoidance of unnecessary risks; and maintaining good health practices. However, physical safety alone does not constitute a safe environment for rehabilitation. Psychological safety is equally critical and defined as the ability to feel safe, to rely on one’s own ability to self-protect against any destructive impulses coming from within oneself or deriving from other people, and to keep oneself out of harm’s way. Social safety, a third component, describes the sense of feeling safe with other people. Finally, a morally safe environment is one that permits an ongoing ethical dialogue and a search for higher meaning and purpose. Finally, a morally healthy environment is one in which power-holders do not abuse their power. In violating women’s human rights, women’s prisons offer little in the way of sanctuary, with threats to safety and well-being on every front. Improving safety for women at the individual level includes support and respect, and providing opportunities to develop healthy relationships with appropriate boundaries and non-violent resolution of conflict. In exploring the dynamic tension between safety and security, we propose that prison managers examine these questions through the test of these expanded forms of gendered safety. The human rights approach provides comprehensive guidance for improving all forms of safety in women’s prisons. In addition to the range of human rights instruments, The United Nations Rules for the Treatment of Women Prisoners and Non-Custodial Measures for Women Offenders, known as the Bangkok Rules, are the basis for a universal human rights approach to improving the lives and situations of incarcerated women, as well as those under all other forms of criminal justice supervision. Readers are directed to the full text of the Rules for their substantive detail and to the accompanying commentary. Access to the Bangkok Rules, the implementation index, and corresponding multi-national research on characteristics of women in prison is available from PRI and the TIJ. Taken together, an expanded idea of safety and the Bangkok Rules demonstrate that safety inside prison and improved outcomes at release can be designed and implemented in women’s prisons. 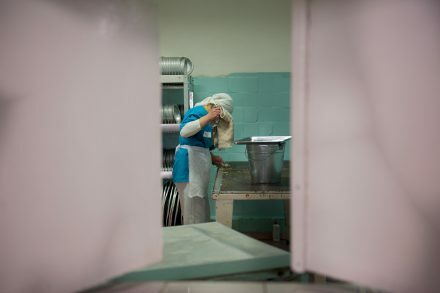 It is more than possible to develop a prison system that ensures women are safe by protecting them from the iatrogenic harms of prison conditions, keeping women safe inside through appropriate and effective resources, monitoring staff for appropriate interactions with women, and providing opportunities to address the gender inequalities that pave women’s pathways into prison. As Nelson Mandela stated, ‘It is said that no one truly knows a nation until one has been inside its jails. A nation should not be judged by how it treats its highest citizens, but its lowest ones.’ We should all be judged by the unnecessary suffering created and sustained by our nation’s prisons. Reducing this suffering through a clear commitment to the inherent dignity and respect of all prisoners – both women and men – is essential to this quest. This essay was drawn from the recent book, In Search of Safety: Confronting inequality in women’s imprisonment (2017, University of California Press), by Barbara Owen, James Wells and Joycelyn Pollock. Read PRI’s short guide to the Bangkok Rules, or sign up to our free e-course. Well said Barbara, rehabilitation programmes will be effective if our “correctional” facilities are safe in all the above mentioned areas, giving assurance to the smooth reintegration of released prisoners to the society, especially when talking about female prisoners, who’s pathway to prison include, poverty, drug related and violent background. Both the PRI and TIJ websites are very rich with resources related to good correctional practices, I urge my colleagues (Correctional practioners) to always visits this sites to enhance their knowledge for good correctional practices, this will equally inform safety in our facilities. Barbara Owen PhD is an international expert in the area of women and imprisonment. She has written several books on gender inequality in the criminal justice system, and has extensive experience of conducting research in this field. Internationally, her work involves implementing human rights protections in women’s prisons with the Thailand Institute of Justice. A Professor Emerita of Criminology at California State University, she received her PhD in Sociology from UC Berkeley in 1984.